View LakeXpress fixed route services. View LakeXpress fixed route schedules and maps. LakeXpress fares and locations to purchase a bus pass. Schedule a Lake County Connection Trip. View paratransit guidelines and services. Learn about Title IV and language assistance services. 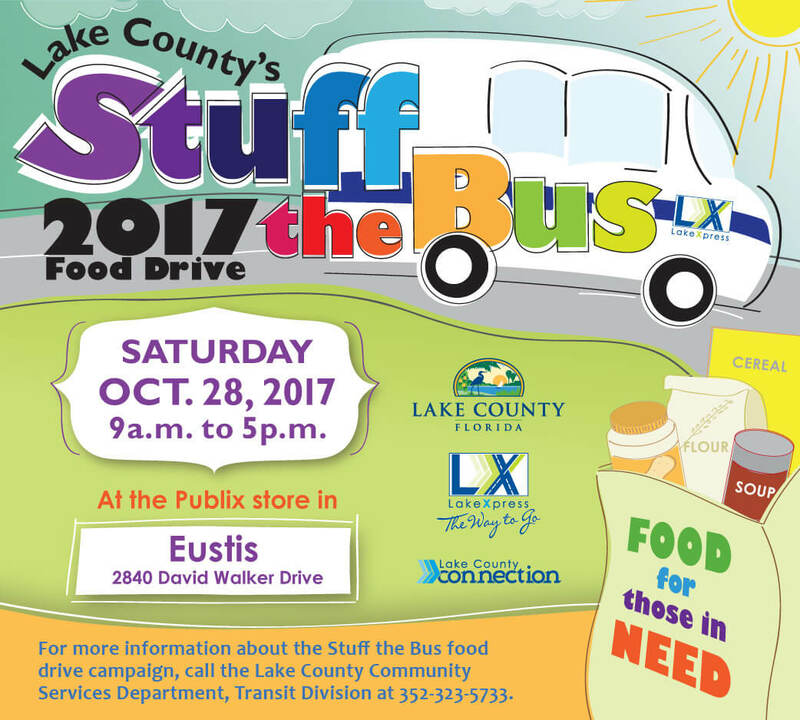 Saturday, October 28th, 2017 from 9 a.m. to 5 p.m.
Lake County's Stuff the Bus, 2017 Food Drive will be at the Publix store in Eustis at 2840 David Walker Drive. For more information about the Stuff the Bus food drive campaign, call the Lake County Community Services Department, Transit Division at 352-232-5733. Food for those in need! Sponsored by Lake County, FL, Lake Xpress, and Lake County Connection. 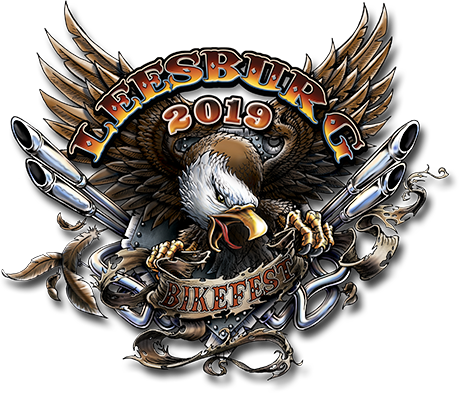 April 26, 27, and 28, 2019 - LakeXpress, Lake County's fixed route public transit service, is offering 160 special stops throughout Leesburg, Fruitland Park, The Villages, Mount Dora, Eustis, and Tavares during the 23rd Annual Leesburg Bikefest April 26-28. LakeXpress is planning for the future! Please help us by answering some questions about your thoughts on transit services in Lake County. This survey is one of several opportunities to participate in the 2019-2028 Transit Development Plan process. Please take a few minutes to let us know what you think the future of transit looks like in your community. Stay informed and up-to-date on all the lastest LakeXpress and Lake County Connection news and updates. LakeXpress could run up to 10 minutes late due to the Leesburg Bike Fest activities. Patrons should expect delays. Due to an accident on the west side of Dead River Bridge, the LX Route 1 west bound bus will be running late. @lakegov There is a traffic delay near Groveland due to an accident. Florida Highway Patrol is presently investigating the crash. Accident on SR 19 North bound has been cleared. The Route 4 bus is running 15 minutes behind schedule. Accident on SR 19 North bound in Dona Vista. Medical Helicopter has landed and all lanes are closed down. Route 4 bus will be delayed. Route 50 eastbound bus in Clermont is back on schedule.